Can I say that I am in love with iCandy handmade. I LOVE the jersey tutorials for kids and adults. 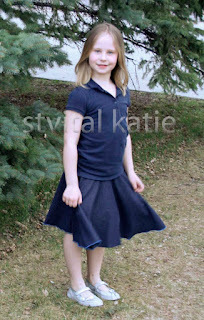 Today I am going to share three skirts I made using tutorials from their blog. I will start with the two I made last year. I made the ice cream social skirt for my niece, my daughter and myself. 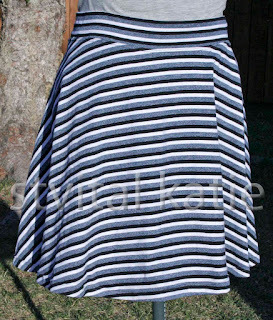 It is such a simple skirt and looks great when it is finished. I featured my niece's skirt here. I never did take a picture of mine or my daughters, until this week. Ours match, although we have not worn them at the same time, yet! 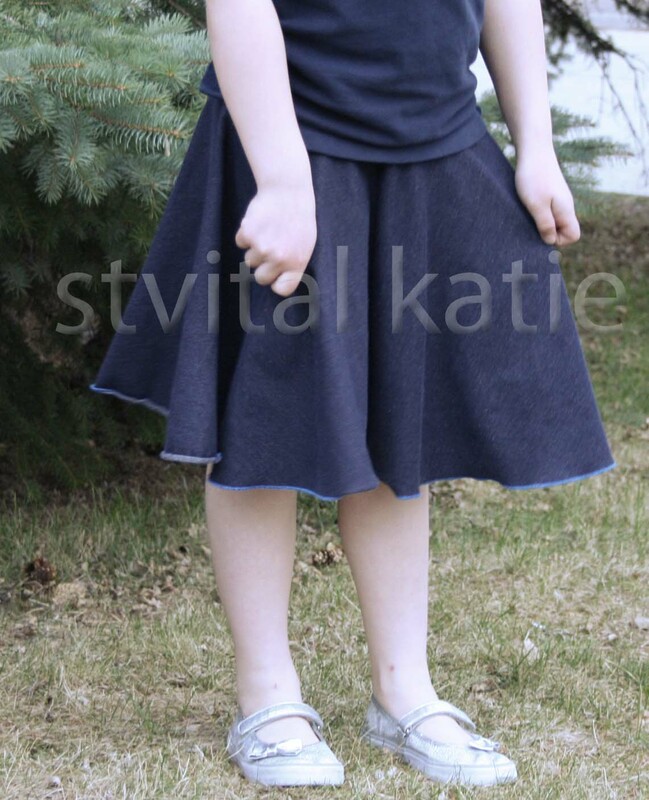 I used my serger on both of these skirts, matching the thread on my skirt and using a nice contrasting blue on my daughters. 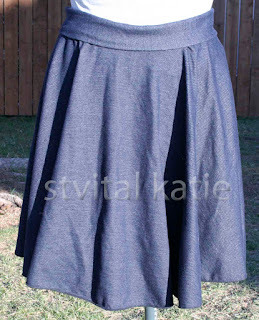 One thing about a circle skirt is that it is very full, of course, and while I am happy with my skirt when I saw the Layer Cake Skirt on iCandy handmade last week, I knew I needed to make it. I had the perfect fabric in my stash. 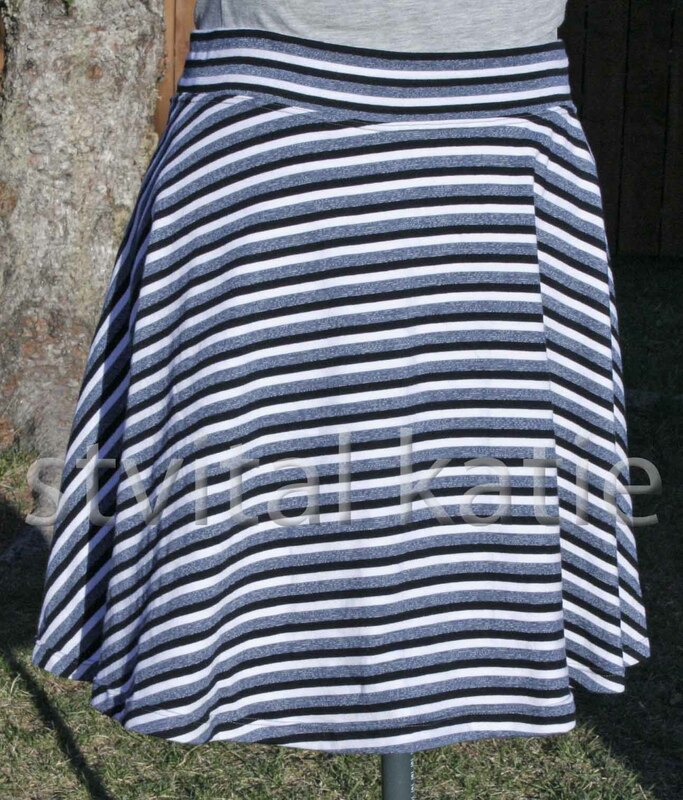 I made a single layer skirt for myself and love how it feels when it is on. I should have paid more attention when I matched the seam on the waistband, but It will be covered with a shirt when I wear it. 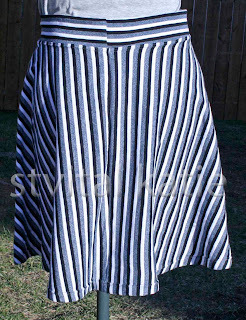 On this skirt I used a double needle to finish off the bottom. I have more jersey in my stash just waiting to be made into another great project from iCandy handmade.